Another Christian-based fear issue has been the threat of damnation and eternity in Hell, a place where the smell of sulfur permeates the senses. And our Godlike Production doomsayer Jack Sprat lists strange smells of sulfur in the air among his long list of 57 concerns. Is it happening? Are people getting whiffs of the stench of sulfur, or perhaps that odor of someone striking a match, or breaking open a rotten egg, with any degree of frequency? 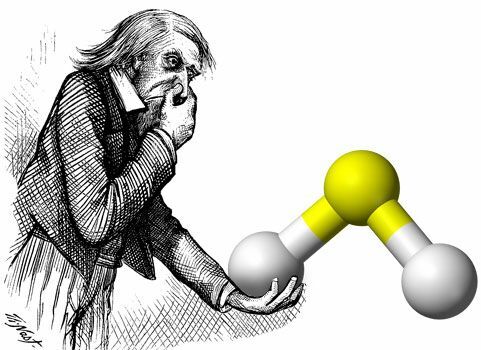 A search of the web for abnormal sulfur smells failed to turn up more than a few cases where people complained of a strange sulfur smell in the air and they did not know where it was coming from. In Northeast Arkansas, people said there was an overpowering smell of sulfur over a large area following a hard rain. This happened in February, 2012. In October, 2011, residents of Memphis, Tennessee, said the town was blanketed for a while with a thick fog that contained the strong smell of sulfur. In Brooklyn, New York, in September, 2011, a smell of sulfur was in the air for a few hours. Nobody could explain where it came from. The smell of sulfur has been linked to UFO sightings, the presence of aliens, poltergeists, and haunted houses. Others have suggested that the smell also has been noticed just prior or immediately following a major earthquake, especially when there has been a rent in the earth’s surface. Is the smell coming from hot lava deep below? One writer said the "sulfur enigma seems connected with high energy phenomena. The similarity of ball lightning and UFOs has been noted by researchers. Also plasmoid energy and electrical discharge have sulphuric qualities." And of course, there is the Devil, if he happens to be around. In conclusion, we do not agree with Mr. Sprat that sulfur smells are an issue of concern at this time.